These heavy gauge motorsports medals have a feel of real quality. 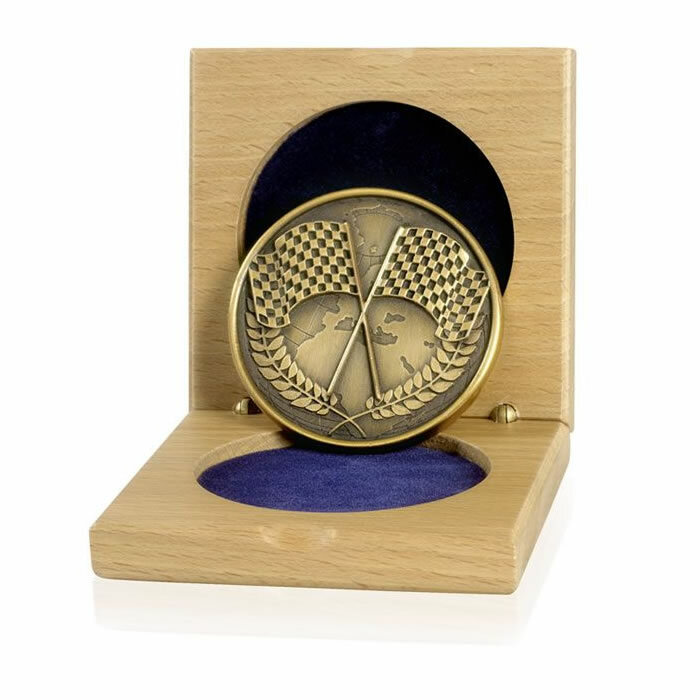 4mm thick and with an antique gold finish, they feature a relief scene on the front of a pair of chequered flags with a laurel wreath border and a globe background. The reverse of the medal is blank for engraving. 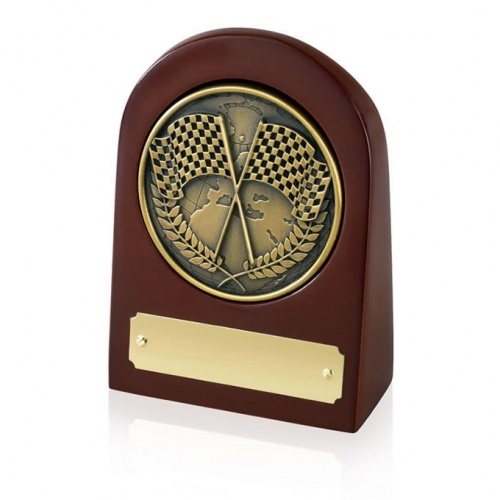 They are supplied with an attractive beech wood case, while an optional wood medal holder with engraving plaque is also available.